Join us in September 2016 in the next spiritual journey along the Matildaline ! In 2014 and 2015 Selma Sevenhuijsen guided together with Dafne Arlman two highly successful spiritual journeys along the Matilda line right through Italy, along the most important places of her book ‘Queen of the Vatican’. In the years to come we will build on this. In September 2016 we will guide the first English speaking tour. You’re welcome to join us, wherever you come from! With a group of 12 persons plus two guides we will travel in 12 days in a mini bus from Mantova to Roma. 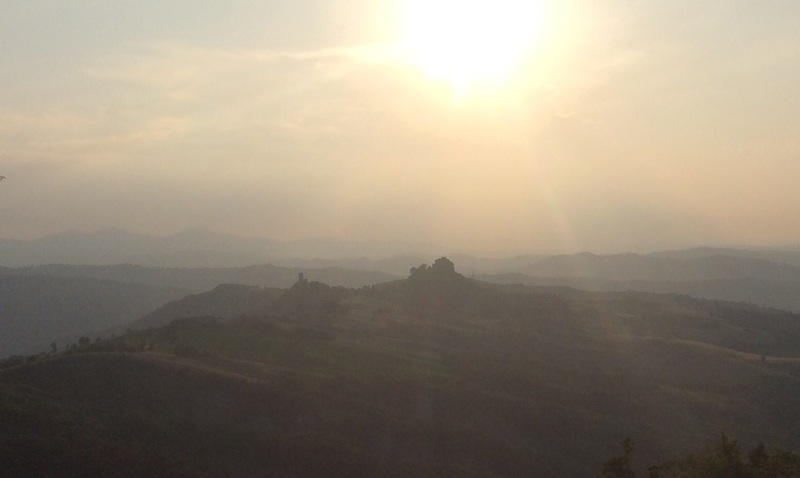 2015 was the year of the 900th anniversary of Matilda’s death, and I spent about half a year in the tower under her castle in Canossa. And what special year it was… It gave me the opportunity to participate in (a selection of) the festivities dedicated to her memory. 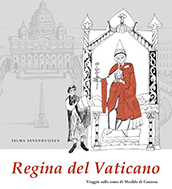 And it was a beautiful occasion for contributing to her return by presenting the Italian version of my book Regina del Vaticano to Italian readers. Domenica 6 settembre: presentazione del “Regina del Vaticano” sulla Fiera Millenaria, la più antica fiera d’Italia, in Gonzaga, vicino alla luogho della morte di Matilde. Sala Congressi, ore 21.00. 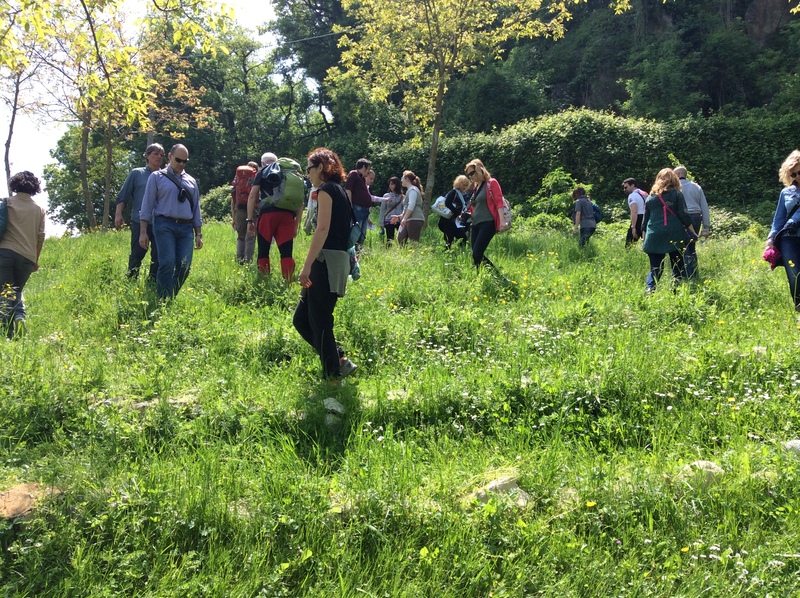 Interactieve lezing met hartmeditatie en hartlabyrint lopen over ‘Koningin van het Vaticaan. 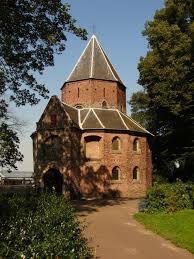 Reis in het voetspoor van Matilda van Canossa’. Toelichting: In de Valkhof werd ooit het huwelijkscontract gesloten tussen Bonifacio en Beatrice, Matilda’s ouders. We zullen dat gedenken en eren met een speciale zonnewende ceremonie in en met het labyrint! For scholars as well as for readers it is a little bit confusing how to spell Matilda’s name. 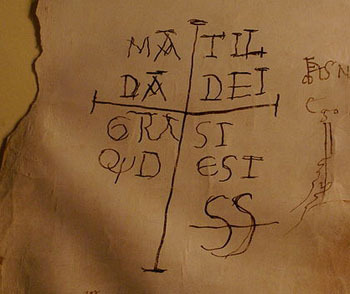 Here in Canossa – and elsewhere in Italy – her name is usually written as Matilde. Germans tend to insert an h in her name, turning it into Mathilde. And then you can also sometimes find Mathilda. So when writing my book Queen of the Vatican I had to take a decision about my way of spelling.